It’s time to mix up the wine! 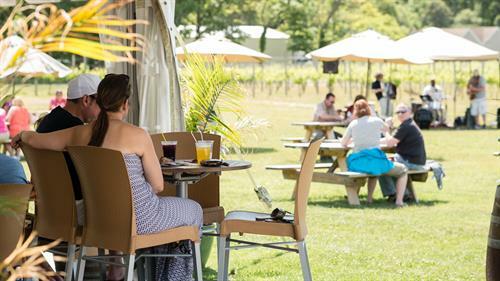 Celebrate summer at the vineyard with award-winning wines, live music by local musicians, and of course, our famous house-made sangrias. Sangria Sundays are every Sunday from Memorial Day Weekend to Labor Day Weekend; no cover charge. Please note that the crush pad seating is limited to parties of 6 or fewer, and outside food is not permitted. Larger parties may use our vineyard picnic tables or bring your own lawn chairs. All tables are first come, first serve. As always, outside alcohol is never allowed at Hawk Haven.